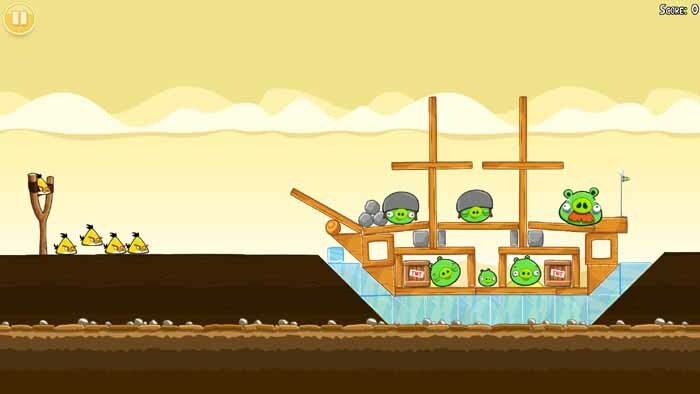 Free download Angry Birds lates version for Symbian. It is a very popular game for all platforms, now it has come on Symbian platform and it is developed by Rovio of course. Angry Birds is totally free and full game for Symbian. It was firstly introduced to iPhone and became viral for everyone and all the people are used to play this game. It has a lot of levels and bunch of fun. You have to destroy all the pigs by pulling and throwing the birds to them, all the pigs are covered in securities; you must destroy all those things to reach them and kill them all. It is very simple and easy game, not so difficult to understand and play, that’s why this game has millions of fans all around the world. You must hold the birds and calculate the distance and according to calculation, hit the birds by pulling the catapult towards them. So basically it is a strategy game. Every level has a certain number of birds and if you don’t kill all the pigs in a level, that level will start again. Each level will become more difficult than the last one when you’ll proceed to this game. Locations and tasks will be different after completion of each level. Every bird has his own quality to smash the things. Graphics, locations and sounds are amazing and perfect of this game.